Telefilm Micro-Budget alumni join us for a discussion about their experiences making their first features through the Telefilm Micro-Budget Production Program. Featuring Kirsten Carthew (The Sun at Midnight), Stephanie Clattenburg (Play Your Gender) and Harmony Wagner (Kooperman). Moderated by Allison White (Cast No Shadow). Learn how they made it work, what they’re working on now, and how you can apply. We’re also celebrating Telefilm’s 50th anniversary during this special lunch panel! Kirsten Carthew is the writer-director and co-producer of the award-winning feature film The Sun At Midnight, which had its theatrical screening in Canada in 2017 and has been sold globally. The film has played throughout Canada and internationally at festivals recognized by Telefilm (China, Australia, Germany, New Zealand, and the US) and has received multiple awards. The Sun At Midnight is the first film from Canada’s Northwest Territories and marks Kirsten’s debut into longer format directing. Shorter form credits include the award-winning films Fish Out of Water (genre) and Abe and Alfred (short documentary). While doing a screenwriting at the Canadian Film Centre, Kirsten wrote a feature film that was optioned by a Brazilian company and opened commercially at the Brazilian box office in 2016. The film, Uma Loucura de Mulher, directed by Marcus Ligocki, starring A-list Brazilian actresss Mariana Ximenes, has also been sold internationally. Kirsten is an alumna of Simon Fraser University, the London School of Economics and the University of Southern California. Her projects in development include two TV pilots (thriller, and science fiction) and a genre feature script. 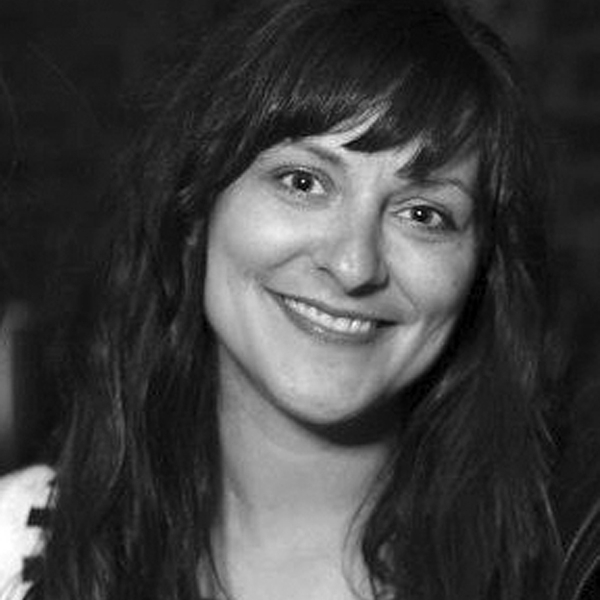 Stephanie Clattenburg is a writer-director with over 12 years experience in the film and television industry. Her first feature length film, a documentary about gender bias in the music industry titled Play Your Gender had it’s world premier in Canberra, Australia in October 2016. The film was awarded the ‘Edith Lando Peace Prize, which goes to the film which best utilizes the power of cinema to further the goal of social justice and peace’ from The Reel 2 Real Film Festival in Vancouver. It also won ‘Best Music/Art Documentary’ at the Melbourne Documentary Film Festival. The documentary was funded through Telefilm Canada's Micro-Budget Production Program. In addition to her career in media production, Stephanie is a professional musician, having been a drummer in a variety of projects including The Superfantastics, Two Deaths and SheMachine. Clattenburg made her acting debut in 2014 when she starred in Andrea Dorfman’s Heartbeat, which premiered at the Toronto International Film Festival. Clattenburg wrote, directed, co-produced and acted in her latest short film, Play Rewind Play. Which is a time travel love story and had it’s world premiere at the Roswell Film Festival in New Mexico in April 2017 where it was nominated for ‘Best Short Film’. Harmony Wagner is an award-winning filmmaker based on Prince Edward Island. She wrote and directed micro-budget comedy feature Kooperman and the 1K Wave feature drama Singing to Myself. Recently, Harmony adapted her second short Queen of the Crows into a novel for Acorn Press. Allison White is an award-winning producer whose films have screened at festivals across the world including the Toronto International Film Festival, the Fantastic Film Festival and Cannes. Her first feature film, Cast No Shadow swept the awards at its Canadian premiere at the Atlantic Film Festival, taking home six awards including Best Feature Film and Best Director. It went on to receive four nominations at the Canadian Screen Awards including Best Motion Picture. Allison is an alumnus of the Rotterdam Lab, Whistler’s Feature Project Lab, and IFP’s No Borders in New York.